Stop wasting useful and expensive office space when you could secure yourself a more convenient and affordable storage solution. We understand that when you are operating a business things regularly change month to month, which is why having an affordable, convenient and reliable self storage solution to look after your excess stock or old office documents you are required to keep for a few more years. We offer a wide range of unit sizes to suit any businesses needs, whether you are a smaller self-owned business only requiring a small space to store to a large company looking for a more affordable solution to keeping large industrial equipment in the warehouse. Jervis Bay Storage is conveniently located in Huskisson, just a short drive from Nowra. Our facility is brand new and fitted with all the latest CCTV and Security technology so you will have peace of mind. Want to know why Jervis Bay Storage is the best place to store your office materials and stock? We make storing easy! With a full range of packaging supplies and wide access driveways, storing with Jervis Bay Storage is faster and simpler. 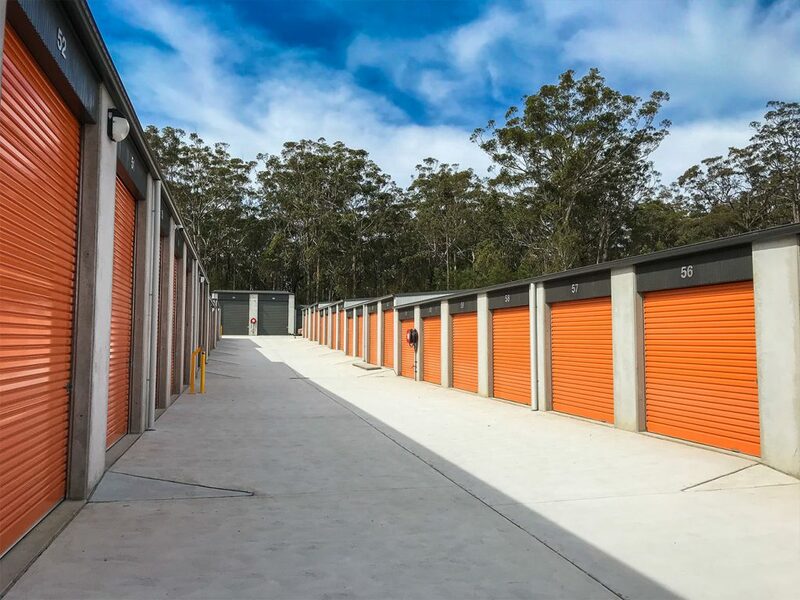 Discover how much more efficient your business can be when you free up some space in the office and secure a unit with Jervis Bay Storage. We want to make self storage more convenient, which is why we offer unit’s with drive up access, with wide driveways and tall roller doors.